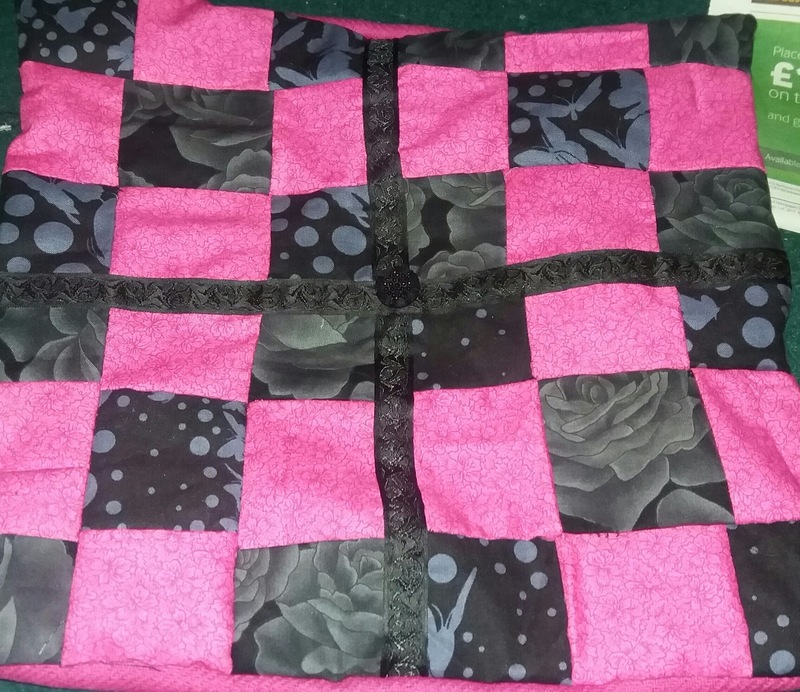 I' m happy to state my patchwork cushion is finished. 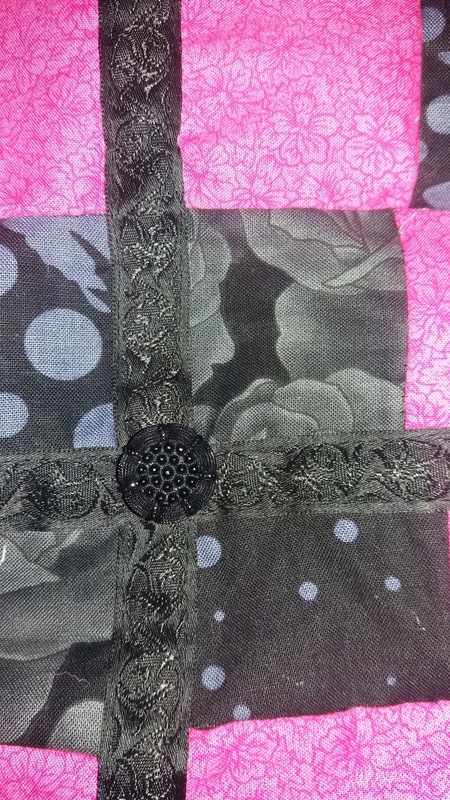 I've attended the group since the new year I've been guided to under the expert guidance of the group and taken their suggestions of using a bright pink amongst my somber blacks, muted purples, and grey fabric motifs. 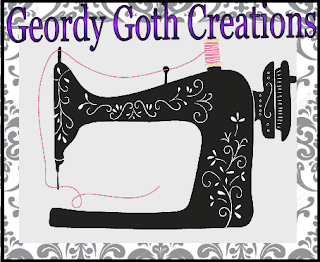 All the material was recycled from leftover fabric from dressmaking projects. 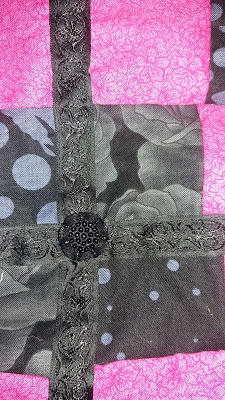 For most quilters this would be a nightmare product as it's completely wonky and lines are mismatched, the shapes are various sizes and so forth. Either way, I think the cushion has character despite the imperfections. 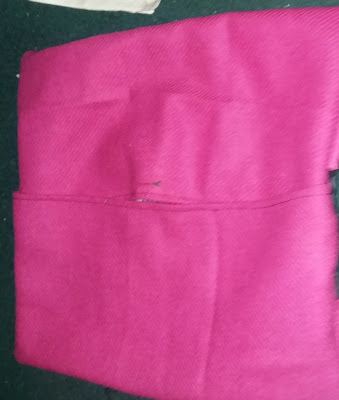 Even the trim looks odd as it's sewn at a wonky angle. At least, the stitching is reasonable sewing the trim straight, with thanks to my the 1/4 inch sewing foot from the vast collection of unknown feet, I recently purchased. (I'm planning on posting a separate review sometime later). 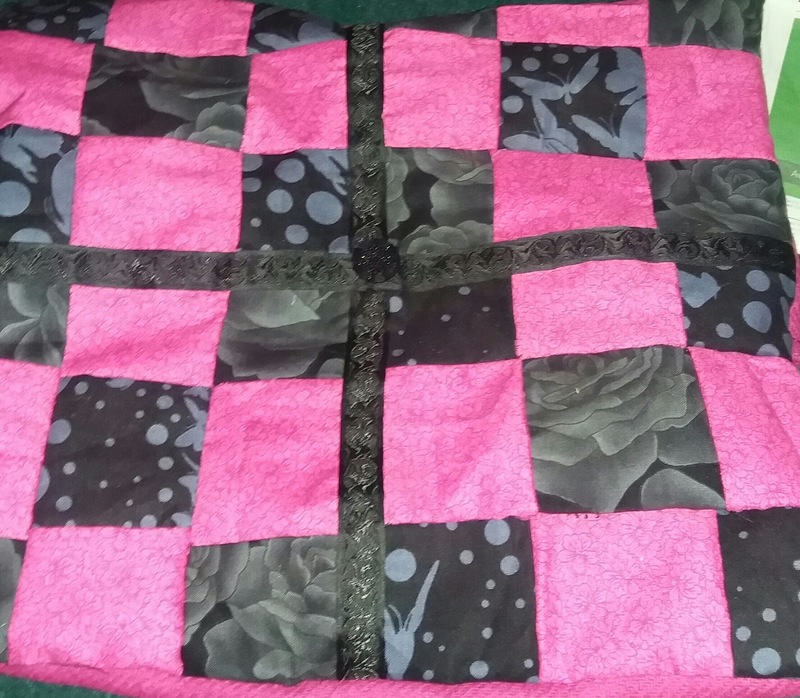 I added the trim to the centre of the patchwork as it looked horrendous, and I wanted to break the pattern up since the pattern was to close together. I also add a button the centre to add more interest. For the back, I used some pink wool I found from my sewing class so to create an envelope back. I think it's adorable! Definitely be proud of your achievement! And one always needs cushions! Thanks that's so sweet,I'm quite proud of my first patchwork but need more practice. I' ll be making plenty of more cushions.